This professional set of surveillance cases consists of a transmitter case with pivot point camera, a receiver case with telemetric control and a built-in A/V digital recorder. The transmitter case transmits pictures either taken by the built-in mini camera or by the included pivot point camera. 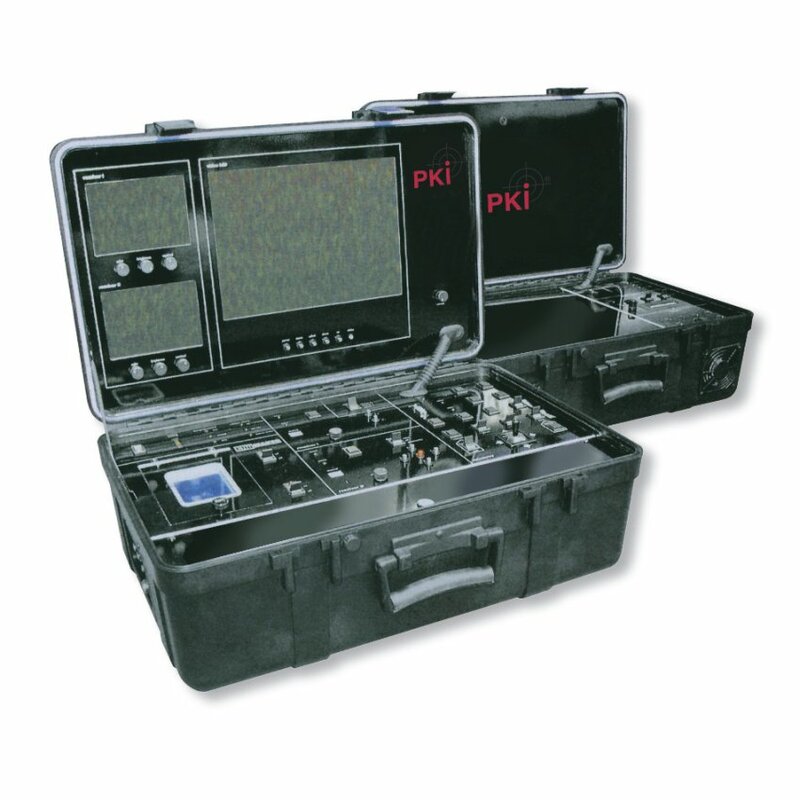 Further “highlights” of the PKI Audio/Video Transmitter/ Receiver Surveillance Case are adjustable transmission power and connectable encryption. The received pictures are shown on the high-definition TFTdisplay of the receiver case and can immediately be recorded by the built-in A/V digital recorder. At the same time signals can be received from various sources and analysed on different displays. The built-in telemetric control of the receiver case allows control of 2 different cameras.